We have a variety of classes for our Li'l Sparks (ages 2 years through to 6 years). A combined Jazz, Tap and Singing class is always popular as they sing dance to their most loved music. Tiny Tutu's are for our budding little ballerina's who love to use their imagination. 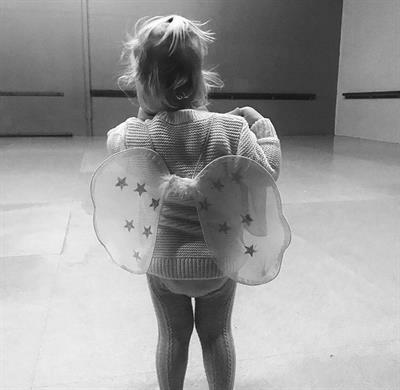 Our Tiny Tumblers class offers a 1/2 hour introduction in Acrobatics and floor work or Gymnastics while practicing their balance, stretching and tumbling. Kindy Gym is also very popular with the Li'l Sparks. Two classes are on offer 2-3 year olds (40 minute class) and 4-5 year olds (45 minute class). Parental involvement is a must with Kindy Gym and this class is partially structured and partially a time for parents and their children to play and learn together on all the different apparatus. The use of trampolines, beams, bars, vaults, mats, p bars and various other apparatus. Popular for the child that is very active and for children who are not so outgoing and have the support of their parents still. Hip Hop is new this year for our Li'l Sparks - for children aged between 4- 6 years this 1/2 hour class will be popular for the little boys who love to dance and get their groove on. Themed days are offered throughout the year which enhances your child's imagination!! Bring a friend day is popular and is offered at a greatly reduced rate, which makes it all that more exciting for our students!! As with any educational institution, Parents are asked not to remain in class (exception for Kindy Gym) and a special watch day is held at the end of each term where our students enjoy the challenge of getting to perform in front of their families and friends.This encourages independent learning, without interruption.